MANILA, Philippines - The House of Representatives announced on Monday that the young female singing sensation will set the tone for the opening of the third and last regular session of the 16th Congress at the House of Representatives Plenary Hall, Batasan Pambansa on Monday, July 27, 2015. 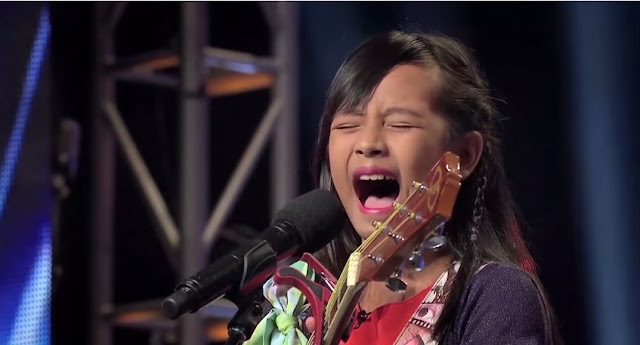 The 10-year-old Gwyneth Dorado, one of the Filipino finalists in the highly successful Asia's Got Talent (AGT) search show, will do the honor of singing the Philippine National Anthem (Lupang Hinirang), preceding the much anticipated State of the Nation Address (SONA) of President Benigno Aquino III before a Joint Session of Congress. The choice of Gwyneth was revealed by Rep. Deputy Secretary General for Legislative Operations Atty. Artemio Adasa, Jr., chairman of the Committee on Programs, Scenario and Plenary Support, under the overall supervision of Secretary General Atty. Marilyn B. Barua-Yap, Chairman of Task Force SONA. "This is in recognition of the mercurial achievement of a young girl, whose singing ability is adored not only in Asia but worldwide. She truly represents the vast and incredible wealth of talents Filipino youth can offer," Dep. Sec. Adasa said. Adasa gave due credit to HRep Deputy Secretary General for Internal Audit, Ms. Cecilia David, for being instrumental in inviting the girl singing sensation to be an important part of the SONA program. Gwyneth headed straight to the grand finals of Asia's Got Talent after getting the most number of public votes among the competitors of the first batch's semi-finalists. Ultimately, the contest was won by another Filipino talent, the now much sought after shadow- play group known as El Gamma Penumbra. The top three of Asia's Got Talent included another Filipino classical singer, Gerphil Flores.